2nd Witham goes to Denmark! 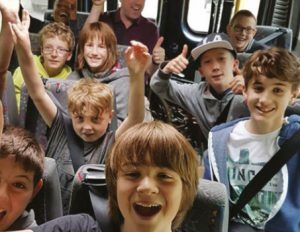 21 boys and Leaders road-tripped to Billund, Denmark during the school holiday. The boys enjoyed the original Legoland®, an interactive Viking center, Henne Strande beach and LeLandia Water Park, while staying at a residential camp owned by a local FDF group (the FDF in Denmark is a youth organisation similar to BB). Young people from both groups spent time sharing games and activities, eating great food, enjoying great camaraderie and experiencing local culture and (almost) too much Lego®!